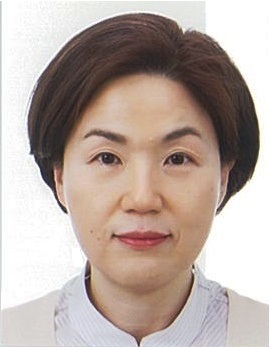 Dr. Seonjou Kang is a professor at Institute for Foreign Affairs and National Security-Korea National Diplomatic Academy (IFANS-KNDA). Most of her research centers around the issues of global economic governance, development cooperation, and middle powers. Recently she has added emerging security issues from new industrial policy, cross-border data flows, and infectious diseases. Her widely cited policy papers include “International Politics in the Era of the Fourth Industrial Revolution: Opportunities and Challenges Ahead,” “10 Years after the Global Financial Crisis and 2018 Argentina G20 Summit,” “Brexit, the Liberal World Order, and the G20”; “The Rise of China within the IMF and the Future of the International Monetary Order”; “Rise of Biosecurity and Global Health Security Agenda”; “Big Data: Current State and Its Use in Foreign Affairs and Security”; “BRICS’ Financial and Monetary Cooperation: BRICS Development Bank, Contingent Reserve Arrangement, and Their Implications for Global Governance” (selected publications in IFANS Focus, 2013-18). Prior to joining the IFANS-KNDA in 2007, she taught political science at the University of North Texas in the United States. Her academic research was published in Korean Journal of International Studies (2015), European Journal of Political Research (2007), The Journal of Politics (2005), and Journal of Peace Research (2004). She received her Ph.D. in political science from Michigan State University in 2000. Her other degrees are B.A. in international relations and M.A. in political science from Seoul National University in Korea.